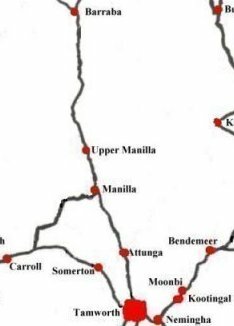 This map shows MANILLA and its surrounds. Many of the other places on this map are active links to enable you to go straight to that particular place. Local councils do have some maps of communities located within their boundaries (as well as other information). You can access this information through the Local Council site through the link found onLocal Information Section of this site.